Religious Citizens Routinely Investigated For Being "Spies"
The Chinese authorities have brought religions to the level of political conflicts between nations, and religious individuals are stringently investigated as spies. After house church Christian Li Zheng returned to China from Korea in June 2018, he received a summons from the National Security Division (NSD) of a city in eastern Shandong Province. The NSD repeatedly questioned him about what he was doing overseas, claiming that foreign influences were using religions to infiltrate China with the intention of stealing state secrets. 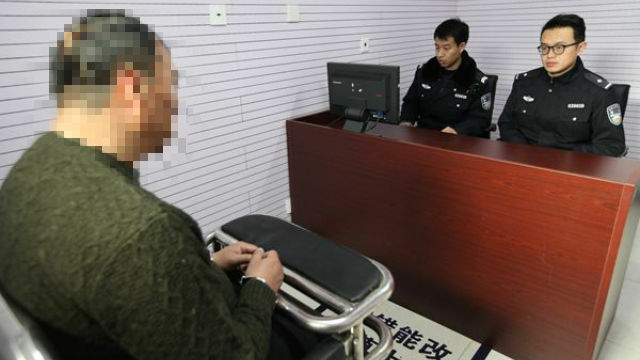 Li Zheng was warned that he mustn’t act as a religious spy. He was also given a tip not to leave the country again. But that wasn’t the end of it. Three months later, in September, Li Zheng was questioned again by local government employees for a week about his activities in Korea. Even though Li Zheng had repeatedly told authorities that his trip had nothing to do with trying to uncover state secrets. Nevertheless, a government insider told Li Zheng that several different government departments wiretapped his communication devices. In September 2018, Ms. Huang, a preacher from the Great Praise Church, a house church in a village under the jurisdiction of Nanyang city, in central China’s Henan Province, was taken away by police, twice, and interrogated. For reasons Ms. Huang knew not. During an interrogation, the police station chief kept on insisting that she’d been making international phone calls when she hadn’t. That, of course, didn’t stop the authorities from prohibiting her from making international calls and restricting her communication rights. “You recently contacted a Canadian on the phone. This is treason. You’re a spy selling out our country,” the police chief said to her, before asking straight up from whom she was receiving orders and where the church money was being kept. Bitter Winter has received reports from other regions where Christians say police have investigated them for “espionage” and “fraternization with foreign forces.” One citizen got into trouble for visiting his children studying in Australia; another for talking on the phone with foreign Christians; yet another for receiving religious books sent over from Korea. These trumped-up accusations of espionage are becoming increasingly common. One State Security Bureau (SSB) official even said that in his eyes, many underground Catholic priests are “spies” maintaining illicit foreign relations. Why the CCP is treating every Christian as a spy can be found in various statements from party leaders. This internal government document also indicates that officials believe the Internet will become a significant means of “religious infiltration” and that schools are prominent domains of religious infiltration. Prevention of religious groups and individuals from using charity activities for evangelism is another anti-infiltration task.